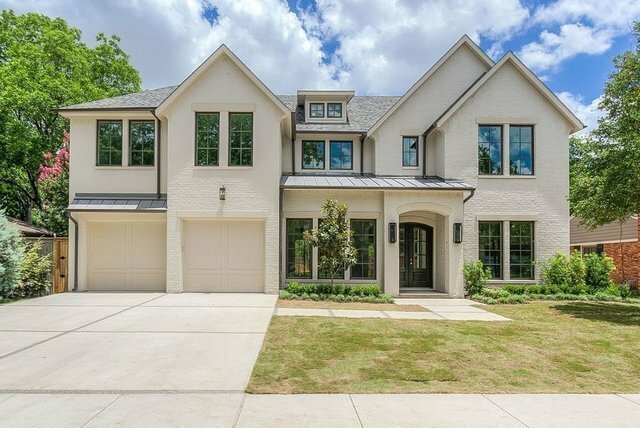 This new two-story brick home built by John Young on a quiet Devonshire street features exquisite craftsmanship; 20 SEER air conditioning system, custom hood and cabinetry, Sub-Zero and Wolf appliances, level four finished walls, white oak wood floors, designer lighting and laundry up and down. First-floor master has vaulted ceiling and attached patio.From the double front doors the foyer is flanked by an office with glass double pocket doors, with hidden closet, and the formal dining. Continue to the open living room with coffered ceiling and chef's kitchen, complemented by a covered patio, built-in grill, and woodburning fireplace.Upstairs includes four spacious bedroom suites, large gameroom, study area with built-in desk, and workout area.